AMITI SHOP is a design collective which showcases contemporary South African design through muliti-disciplines: jewellery, clothing, ceramics, art, leather, woodwork, beading and weaving. Our collective is made up of independent designers from all walks of South African life. This scenic guided tour will take you through magnificent mountain landscapes and rolling vineyards to the heart of the Cape Winelands. Visit wine estates in Franschhoek & Stellenbosch with cellar tour and a cheese and wine tasting at 2 regional estates. Cape Point and the Cape of Good Hope are often referred to as the romantic meeting place of two mighty oceans, the Atlantic and the Indian. Located at the southern tip of the Cape Peninsula, this tour is the ultimate in covering the most scenic parts easily, conveniently and safely. Bo-Kaap Walk:The Bo-Kaap is known for its brightly coloured houses – think pink, green, blue and orange. 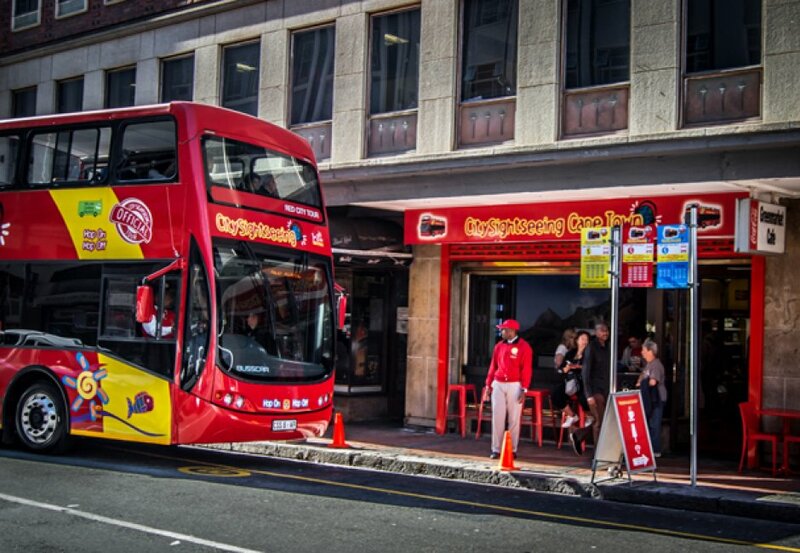 Spend 30 minutes at our Long Street ticket office for a quick coffee, some shopping and putting together your red bus itenerary — all our buses and routes stop here. Entrance and use of our facilities are free of charge. Don't forget extra pocket money for a quick bite to eat or shopping at the Amiti Shop downstairs.